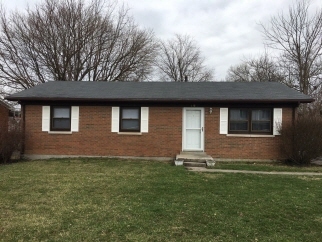 Description: This brick ranch home is located near the end of a quiet cul-de-sac. There is new carpet in family room and new linoleum flooring in kitchen. New ceiling fan and recessed lights in a spacious family room with fireplace. There are also several new ceiling light fixtures, new mirror and lights in the bathroom, a new garbage disposal, new closet sliding doors in two of the bedrooms and the bathroom. New doors in the bathroom, each bedroom, and the coat closet. New window blinds throughout home, and all rooms are freshly painted. Data believed correct but not guaranteed. Buyer to verify data prior to offer. Agents read agent remarks.